At Packaging Resources and Columbia Corrugated Box we excel at providing the very best quality, service and packaging innovations while limiting our environmental footprint. We constantly look for ways to be leaner and greener. In the early 1990’s we achieved 100% C.F.C-free manufacturing process and products. Since 2007, the post consumer content in our corrugated fiberboard has increased dramatically. We obtain corrugated fiberboard with 65 -100% recycled content and provide stock guaranteed to come from sustainably managed forests. Our white corrugated fiberboard uses a Hydrogen-based bleaching technique, not harmful Chlorine that creates Dioxin—a serious and persistent environmental pollutant. And, most of our pulp is locally sourced to save on shipping costs and reduce our carbon footprint even more. We only use water-based, non-toxic flexo inks and our disposal process captures ink solids before being released to water treatment plants. Our ink suppliers’ warrant that no lead, cadmium, mercury or hexavalent chromium has been intentionally added and that the sum of their concentration levels is minimal. All of our wastewater is treated before returning to the environment. When a package design requires foam, we always keep the carbon footprint as small as possible. We achieve this is by sourcing and using environmentally friendly foams such as Green Cell—a biodegradable foam made from high-grade cornstarch, Re-Grind Recycled Polyurethane, a foam made from recycled polyurethane and High Recycled Content polyethylene. HRC PE foam guarantees a minimum 65% recycled resin content. It provides the usual benefits and qualities of standard PE foam. 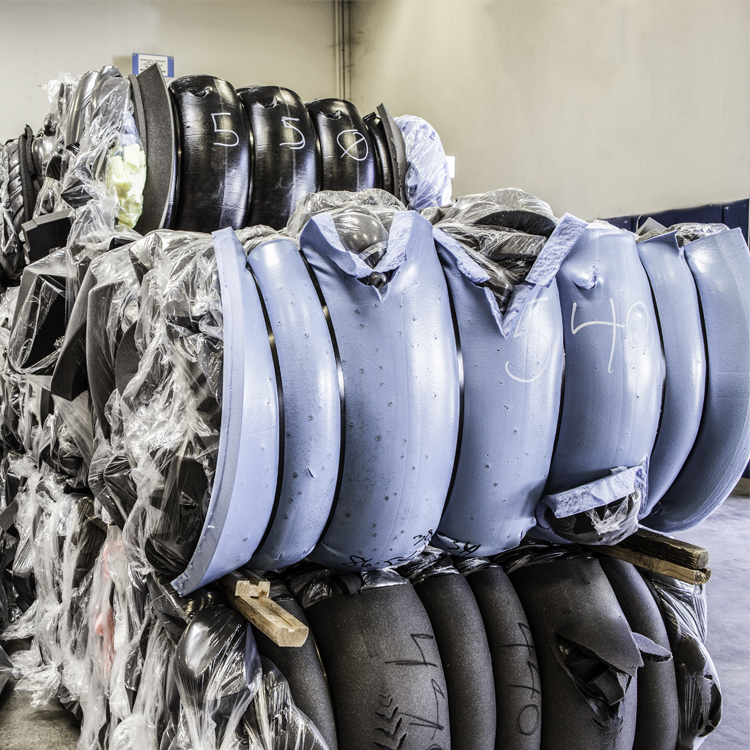 We’re proud to have special recycling programs for polyethylene, polyurethane and polystyrene products. Always recycled or repurposed, our primary raw materials never waste away in a landfill.